Home Archive 2015 What do you want from rugby anyway? What do you want from rugby anyway? I have often wondered what we, the spectators, really want from a game of rugby. They are the people who watch rugby, or any other sport or activity. Various dictionaries will define the meaning in slightly varying terms, but the essence remains the same. They are the people who look on, the watchers, the observers. They are the people who are present at, and watch a spectacle or display. Simply: A member of the audience or crowd. Spectators are vastly different from diehard fans of a specific team. Spectators are there to be entertained by the spectacle of two teams clashing on the field of sporting endeavour. They may have a preference for one or another of the teams participating in that clash, and they will no doubt want “their” team to win, butthat is not the sole objective of their attendance at a game. Whatever the outcome, the spectator will enjoy the game and will appreciate the efforts of the players in both teams. A diehard fan is a lot different. They arrive in the colours of their team, they wear them with pride and expectation. They expect, nay, they demand that their team wins! They brook no excuses if the team loses and will search for a scapegoat or two when the team has lost. The most usual scapegoat will be the Referee, with the Assistant Referees, the TMO, and the cheating opposition just a short head behind. Their team is never wrong, although the coach might be expendable. Those diehard fans could not care less if their team wins ugly. They do not care one hoot about the style of rugby played or whether the win is achieved off the back of boring, grinding forward oriented pick-and-go dodgem car rugby with plenty of penalties and no tries. They are orgasmic over a couple of drop goals and resolute defence. They want nothing less than a winning team. They make up the 14 000 spectators jammed into the 51 000 seat stadium we call Loftus Versveld. Or the 6 000 spread thinly across the 25 000 seats of Waikato Stadium. The 12 900 that fill the lower tiers of the 55 000 seats at Kings Park. What about the rest of rugby’s fandom? The ordinary spectators with a love for the game. Where are they? Why are there so many empty seats at really big rugby matches? Why are the ordinary spectators staying away? Where is our game going when it cannot attract spectators anymore? I guess there are many contributing factors to all those empty seats. There is the ridiculous overpricing for seats. A rapid glance at the Ticketpro website tells us that seats for the Bulls/Cheetahs game at Loftus Versveld on the 13th June 2015 will cost you as much as R400 although the average price is R130 per seat with an overall average including the worst seats in the house of perhaps R90 per seat. The cheapest season ticket, way up in the top gallery behind the posts sets you back all of R600 for the year. Newlands is a little more reasonably priced, at R80 for standing room and up to R140 for a seat. Someone needs to do the math. If you can sell 30 000 tickets at an average of R50, you will bank R1,5 Million for a game. If you sell just 14 000 seats at an average of R90, you bank R1,25 Million. Some will say that is simply cash in the bank and smile. Milk those diehards for every cent you can get and check the bank balance. I suggest that it is income at the cost of lost opportunity. Doesn’t 30 000 spectators sound so much better? Drop the prices and fill the stadium. The buzz of the crowd makes for a special occasion, and a full stadium generates all sorts of additional revenues, from the sale of snacks and cool drinks to team merchandise. Advertising revenues in a full stadium are going to be a gold mine compared to what those sponsors will pay for signs put up in an empty cavern. There are those that argue for smaller stadiums rather than the huge venues that are currently in use, but this argument is self-defeating as it makes no provision for the really big games such as test matches, which are automatically a sell-out, nor does it allow for growth in spectator numbers as, hopefully, the sport grows. There is the added problem, what to do with those big stadiums that already exist? Nope, the answer is to find a way to fill those empty seats. The lack of success of the local team does lead to fans, other than the real diehards, staying away. The Sharks have had a dismal 2015 on the playing field, and their spectator numbers are dwindling week by disastrous week. Franchise and team management need to find a way to produce a competitive team if they want to draw more spectators. But even successful teams such as the Hurricanes are struggling to fill stadiums. Another regular bug of mine: the overexposure of far too much rugby on offer in a jam-packed and much too long season. The availability of continuous rugby viewing on television must have a negative impact too. Super Rugby has 120 regular season games before we hit the 2 playoffs and then 2 semi-finals and the final. 125 games of Super Rugby, squeezed into 19 weeks. That is one helluva lot of rugby. In a regular year we follow that with incoming test match tours, then the four nation Rugby Championships with each country playing each of the others twice, while the Vodacom Cup and the Currie Cup in South Africa, the ITM in New Zealand, and the new National Rugby Championships over in Australia all grind their weary way towards the end of a 10 month long domestic season. Add in the end-the-year-silly-season tours to the Northern Hemisphere and the southern teams have a rugby season that stretches for fully eleven months of the year. 2015 is a World Cup year, so we have even more rugby on the menu, some big games, and some little ones, but all of them will be televised! We need to take a lesson from the Americans and their National Football League. With a population of over 300 million people to draw on as potential supporters, they still keep the regular season as compact as possible. The simple reality is that there is way too much rugby on offer, and it has lead to spectator boredom, if not downright weariness. This is just from a spectator point of view – never mind the impact on the players and their health and later lives. Without taking anything away from the factors I have mentioned above, I am really concerned about one massive factor that is squeezing the life out of our game. When we speak of an elephant in the room, this one represents a couple of herds of elephants all trying to squeezing into the same telephone booth. In as few words as possible: Rugby is boring itself to death. The game has become over-complicated, over-officiated, over-exposed, and over-coached. Sadly, spectator numbers do not lie! And when the spectators stay away, and the TV audiences dwindle and media coverage slowly starts to evaporate, the next step is for the sponsors and advertisers to start looking for some other way to spend their advertising bucks. We need to examine why the spectators are staying away, in their tens of thousands. I have mentioned the Over-Exposure factor, too much rugby in an overly long season. Let’s move on to Over Complicated. This goes hand in hand with the concept of Over-Officiated. In previous discussions I have banged on about the complexity of the Laws coupled to the hugely inconsistent interpretations of those Laws, and the incomprehensible application of some unwritten, Paul Dobson calls it “home-made”, laws that the referees have introduced off their own bat, and you have a game that Average Joe no longer understands. Never mind Average Joe, most rugby aficionados no longer understand what is happening on the field anymore. Please tell me you understand how the referees are interpreting Law 16 that governs the ruck. (a) Players in a ruck must endeavour to stay on their feet. (b) A player must not intentionally fall or kneel in a ruck. This is dangerous play. (c) A player must not intentionally collapse a ruck. This is dangerous play. (d) A player must not jump on top of a ruck. (e) Players must have their heads and shoulders no lower than their hips. I have just watched most of the games played in Round 15 of the Super Rugby competition. In each and every game I saw player after player go to ground in the ruck. I watched them bypass the man with the ball and fall to the ground beyond him, a deliberate sealing off of the ball. I watched players falling on each side of the man with the ball, again sealing him off from the competition. I watched players jump onto the man with the ball or on the man attempting to gain a turn-over of the ball, surely a direct contravention of 16.3.b) and c). Do the referees do anything at all about players going to ground in the ruck? Well, we do hear them talking about “supporting your own bodyweight” a phrase that is not found anywhere in the written Law, but most of the time they do absolutely nothing at all about the players who charge in and go to ground next to or beyond the ball. They do even less about the players that charge in with scant use of their arms and no attempt to bind on entering the ruck. The no-arms, dangerously reckless dive into contact at ruck time is one of rugby’s law contraventions that every referee simply ignores. They like to call it “cleaning out” the ruck. Absolutely zero is done about players who take out opponents on the fringes of the ruck, even where such players are not part of the ruck at all. The bottom line is that Law 16 looks nice on paper, just a pity it is mostly not being applied. Look at the introductions of interpretations of the Forward Pass, or “Throw Forward” as Law 12 calls it. A throw forward occurs when a player throws or passes the ball forward. Read that carefully and tell me if you can find any word or series of words that says that you have to look at the direction of the passing players hands to determine if it is a throw forward? No? Okay then, another unwritten interpretation of the law. Law 20 does say that if a scrum wheels more than 90º the referee must order the scrum reset. There is NOTHING about penalising a team for deliberately wheeling the scrum. There is NOTHING about having to go forward before you can wheel. There is NOTHING about a prop retreating or pulling back. Props are penalised for being shoved up out of the scrum. This is in direct contravention of the written law that says the player doing the lifting must be penalised. That is akin to penalising a flyhalf for missing a tackle! Law 20.6.d) is ignored in its entirety. The scrum is governed by Law 20, yet we regularly have referees dishing out penalties for infringements that are not contained anywhere in the written Laws or the Law Clarifications issued by World Rugby. What gives? Enough, we can pick holes in each of the 21 Laws and their multitudes of clauses and sub-clauses. The point is that the game of rugby is hugely overcomplicated, and then the officiating referees and their cohorts complicate it even further by introducing their own personal interpretations and some unwritten laws that they invent during their little referees’ meetings. The Laws of Rugby and the level of referee intervention need a very serious and drastic rethink. The average Joe is bored to tears by a game that has become hugely over complicated by the pedantic application of a plethora of incomprehensible laws by incompetent referees. The average spectator does not give a hoot whether the tighthead prop has slipped his bind from the back to the arm, or whether the props used their hands on the ground to keep the scrum up! All Joe wants to see is the scrum completed and the ball coming out and back into open play. The scrum was never a problem, until they chose to “fix” it after 1995. We are tired of hearing the referees yell out instructions during a game. “Stop Seven!” “Leave him!” “Roll Blue!” “No Hands!” “Wait!” “Release 12!” “No!” – it is a constant jabber that makes nonsense of players needing to know or understand the rules, and seems to give infringing players carte blanche to do whatever they like until the ref says something. The referee’s and their constant jabbering on the field has had a reprehensible side effect too – players now feel that they can engage the referee in conversation all the time. Scrumhalves constantly flap their arms and appeal to the referee and his assistants for penalties, forwards query every decision the referee makes, fullbacks and flyhalves query the assistant referee’s decision about kicks to touch. Whatever happened to the unwritten rule that only the captain talks to the referee? Lets take a brief look at another aspect of the game that is serving to slowly strangle the game to death. Prior to 1995 rugby was supposedly an amateur game. This is, of course, not strictly true and many players made a living from the game, but that is a discussion for another place and another time. During the amateur era different rugby nations played different styles of rugby. The South Africans revelled in their rock hard, fast fields, with flyhalves that kicked the ball into low earth orbit for very quick wings to chase down, and mountainous forwards that thrived on the old adage of subdue and penetrate. The All Blacks relied on superb ball skills amongst their backs and granite-like sheep farmers and tree-felling foresters amongst the forwards to grind the opposition into the ground while the backs ran circles around everyone. Over in the United Kingdom they worked out how to play forward oriented rugby that survived the mud of endless rainy winters, with the exception of the Welsh, who somehow found the ability to run in the mud. The French stood well clear of all their competitors for flair and unpredictability. They found ways to exploit space that other teams did not even know existed. They would do outrageous things with the ball, throwing passes that crossed half the field one moment and the next move would slip a backhanded pass to someone just inches behind them. They were known for running with the ball from every square inch of the field, sidestepping and jinking like a rabbit avoiding a hungry fox. They were not the winningest side in world rugby, but they were the most spectacular to watch. Then 1995 dawned, the last amateur Rugby World Cup was played, and rugby went professional. Since then the game has undergone an extraordinary transformation. Players are bigger, stronger and fitter than ever before. They are physically trained to increase their speed across the turf, their speed off the mark, and their speed in making decisions. Coaches are assisted by a plethora of specialists, from strength coaches to psychologists, nutritionists and hand/eye coordination specialists. There are backline attack coaches and defence coaches, scrum coaches and lineout coaches. Video analysts watch every move the opponents make in every game they play, and analyze the way their own and opposition players stand and run, pass and kick. Biokinetisists show players the ideal way to hold their shoulders and how to move their feet when sprinting. Every single aspect of the game is broken down to find the best way to put it all together again. Teams are better organised both on and off the field, and coaches more astute and they have ample time to think about the game. There are no day jobs to worry about anymore, and their entire focus is on the game of rugby. We have reached another use of the word: “Over”. The game is being Over-Analyzed. Winning has become everything. Entertainment is not part of the equation. Handling the ball is restricted to maintaining possession at all costs, with the lowest risk option of hammering away close in to the forwards and going through phase after phase of somewhat pointless and very static recycling of the ball, rather than the higher risk of spreading a ball wide at speed. It is all about waiting for the opponent to make a mistake, to drift offside or do something wrong and give you a chance at three points for a penalty. 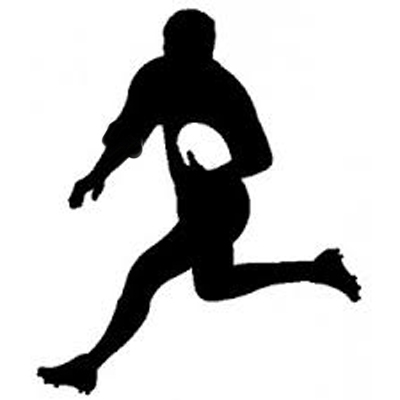 If we take this sterilized form of the game and we couple it to certain aspects of the Laws, such as the ruck and the offside line at the ruck, or the almost indefensible driving maul we begin to see a game that no longer seeks to exploit those three essentials of rugby: Space, Surprise, and Speed. There is simply no space around the fringes of a ruck or maul anymore. There is no surprise in pick-and-go tactics as forwards simply try to grind their way forward in phase after phase of the same thing. The fact that there can be no contest for the ball on the ground once the ruck has set means that the defending team can leave just one, perhaps two players in the ruck itself, flood the immediate fringes with their biggest tacklers, and spread the rest across the field to close off any space that the game might thrive on. There is no longer the space on a field to be exploited. Speed is unnecessary when you are grinding away with your forwards, and less important when the odd ball that does find it’s way past the boot of the scrumhalf’s box kick or the flyhalf’s Hail Mary launch skywards to an inside or outside centre who simply crashballs it back into the traffic. Speed is only important when a winger chases the kick or, perhaps, when a kicked ball is fielded and the defender has a moment of madness and decides to counterattack. Rugby has become more technical, more clinical, and hugely boring. Over-Complicated Laws, Over-Officiated Games, Over-Analyzed Tactics and Teams, Over-Coached Players, and we have a game that has become Over-Clinical and sterile. The excitement, the flair, the speed and surprise are gone from a game that had so much of all those things in it’s past. Add in the fact that our game has become Over-Exposed in the media and by having too much of the same drudgery on offer, week in and week out in an Over-Long season, and I fear that the game is slowly but surely strangling itself to death. The Average Joe Spectator does not want to see two colossal packs throwing the kitchen sink at each other while their backs simply feed the ball back to them whenever the ball does somehow get away from the tough stuff. Average Joe does not want to see teams trying to milk penalties for technical infringements at the scrums, mauls and rucks that form the core of the game. Joe is tired of watching super efficient goal kickers line the ball up with the posts and totting up another three points for their team. Average Joe wants to see tries scored. He wants to see players run with the ball. He wants to see side-steps and shimmies, dummies and scissors. He wants to see razzle dazzle and footwork. He wants to see the ball being passed with pinpoint accuracy to a man who can run into space at speed! He wants to see that slight of hand as a player pops a short pass to his team mate who is running right on his shoulder. He wants to see the ball move down the backline faster than a man can run, and he wants to see the player with the ball take outrageous chances. Joe wants to see desperate defence and instant counter-attack. Average Joe wants to see sublime skills, not flexing muscles! Average Joe wants to be entertained. He will fill those stadiums if he knows he is going to be entertained! He will be glued to his television set if he knows that he will be entertained. Joe will be happy, and he will be a rugby fan for life! The sponsors and advertisers will be happy, their products will be associated with something worthwhile and attractive. The players will be happy, playing a game they love in a stadium filled to the brim with spectators and humming with expectation. That is what rugby should be about! And I am Average Joe.